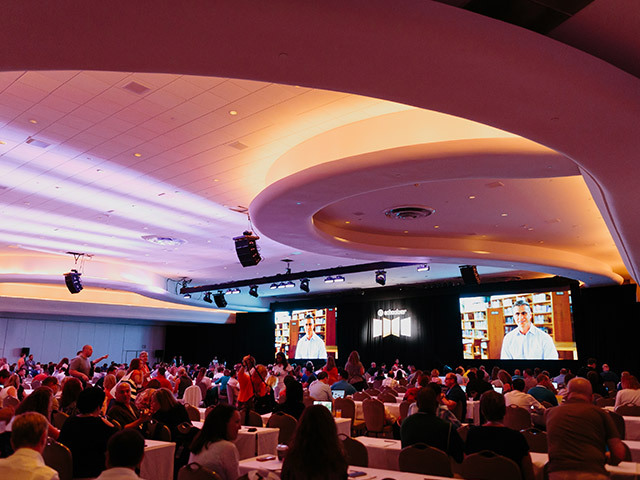 Schoology, a learning management system for K–12, higher education institutions and companies, is holding its fourth annual user conference, Schoology NEXT, this summer in Chicago. The conference equips Schoology LMS users with the skills and support needed to accelerate their school or institutional goals. At Schoology NEXT, users will experience sessions in two types of formats: Traditional 45-minute lectures that feature one presenter or 75-minute interactive workshops where participants get to be co-explorers and work alongside the presenter. The 2016 user conference had nearly 1,000 education leaders in attendance. Image Credit: Schoology. Visionary Leadership, an exploration of high-level concepts and strategies that help drive change across schools and universities with an overall goal to better understand digital-age learning. Topics covered include large-scale implementations, capacity building, professional development and change management. Assessments, Data, and Informed Decision-Making, an investigation of the key concepts and best practices for using formative and summative assessments, aggregated data and analytics to inform important decisions. Topics covered include tracking and reporting student progress, data-driven instruction, and starting targeted institutional initiatives. Innovative Instructional Practices, a journey led by master instructors who will share their discoveries and practices that have yielded notable results. Topics covered include blended learning stories and best practices, gamification, personalizing learning and global learning. Inside Schoology, a behind-the-scenes look at Schoology led by the men and women who run the machine. Staff with expertise ranging from professional development to systems engineering will cover topics that include (but are not limited to) company best practices, training for newly launched features, as well as hands-on workshops with upcoming developments. The 2016 conference had nearly 1,000 education leaders in attendance — technology directors, CTOs, CIOs, curriculum directors, K–12 teachers, higher education faculty, deans, principals, superintendents and many others, a news release said. Schoology NEXT will take place July 24-26 at the Hyatt Regency McCormick Place in Chicago, IL. To find out more, visit the event web page.